Congratulations, you’ve made the first big decision, now for the next equally important decision – your Wedding Venue! There are many reasons why Accolades is becoming the venue of choice with engaged couples that plan the perfect start to their marriage. 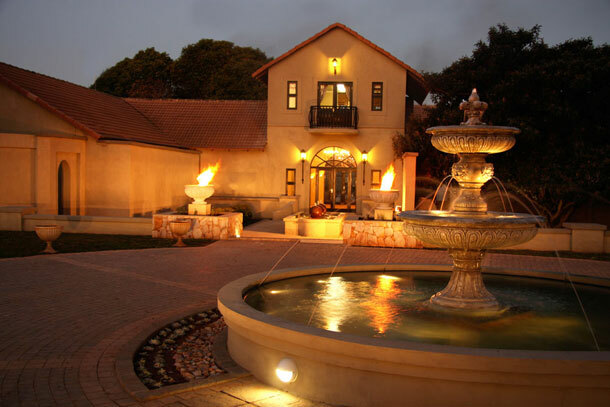 If you reside in Gauteng then Accolades Wedding Venue is the perfect setting for your all-important celebration. Accolades is a beautiful 4 Star, Tuscan Style Venue in the heart of Midrand, Central to Johannesburg and Pretoria and within one kilometre of the newly built Midrand Gautrain Station. Accolades Tuscan style creates the perfect setting for intimate, romantic weddings. Situated on a 2.7 hectare site, the formal gardens, terrace lawns and many water features makes for a breathtaking beautiful setting which offers many scenic locations for wedding photographs. Accolades cater for indoor and outdoor weddings and wedding parties for up to 200 guests. At Accolades Wedding Venue, planning a wedding cannot be made any easier. Accolades supply’s all Bridal Services under one roof. Their specialist wedding liaisons are able to assist you with all your needs in-house. Be it from table decor to draping, Bridal make-up Artist, stand-out wedding photographer, videographer or DJ, even your special wedding cake, you need not look further, Accolades can assist with all your wedding requirements. Good service, excellent food and a great venue is what Accolades is all about. Our well trained and friendly wedding coordinators, event managers, chefs and waiters are at your service to make your day as memorable as possible. And if you need further persuasion, contact Accolades for a site-visit and experience their hospitality and friendly environment first hand! Contact Carla van Lingen on telephone +27 (0)11 022-3668 or on her mobile: +27 (0)83 409-0590 or visit Accolades for additional info or to send and enquiry.